Healthy recipes can be so delicious, like this creamy vegan chocolate pudding. This dessert is an excellent option for those who have diabetes or seek recipes with a low glycemic index. This pudding is super easy to make in just a few minutes, has no added sugar and it even tastes like a creamy mousse. Add the avocados, banana, cocoa powder, vanilla extract, salt and cinnamon to a food processor. Cover and puree at high speed until smooth; approximately, 3 minutes. Scrape the sides as necessary. Tip: transfer the creamy mixture to a container, cover and let it cool for at least 1 hour to allow the flavors to mix. This recipe yields 2 cups of “pudding”. 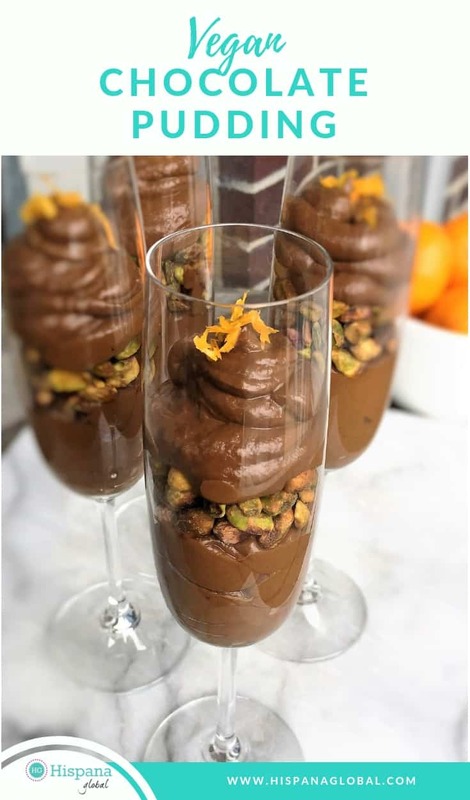 Place a layer of the pudding in a champagne flute, then add a layer of pistachios and finish with a last layer of chocolate pudding. Do the same for the other 3 flutes. Tip: use a pastry bag so that the pudding is evenly distributed. Garnish with the mandarin zest and serve cold. 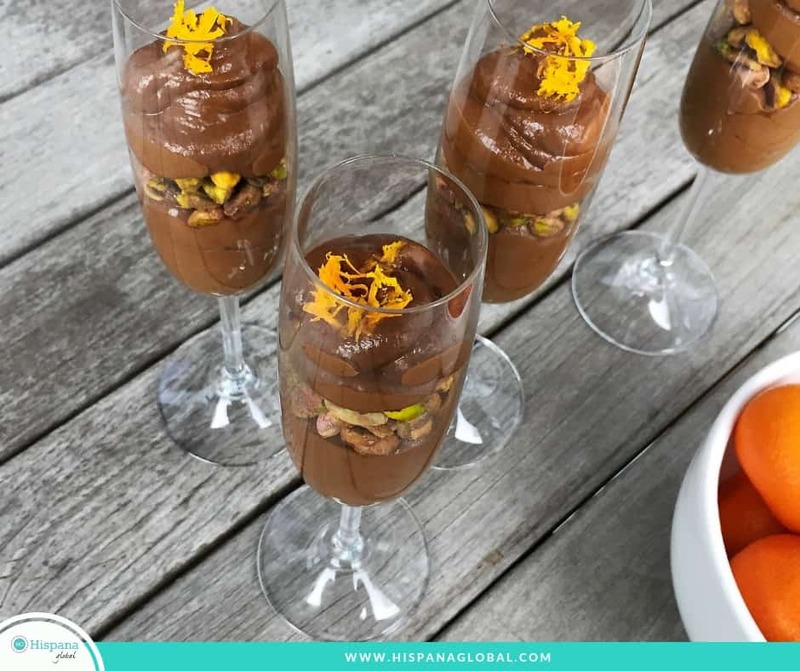 Let me know if you try this vegan chocolate pudding recipe!